The Precarious Migrant Protection and Support Program allow us to offer timely and holistic case management and service provision for precarious migrant populations. Thanks to the support of the Law Foundation’s Access to Justice Fund we are able to continue providing assistance to vulnerable communities. 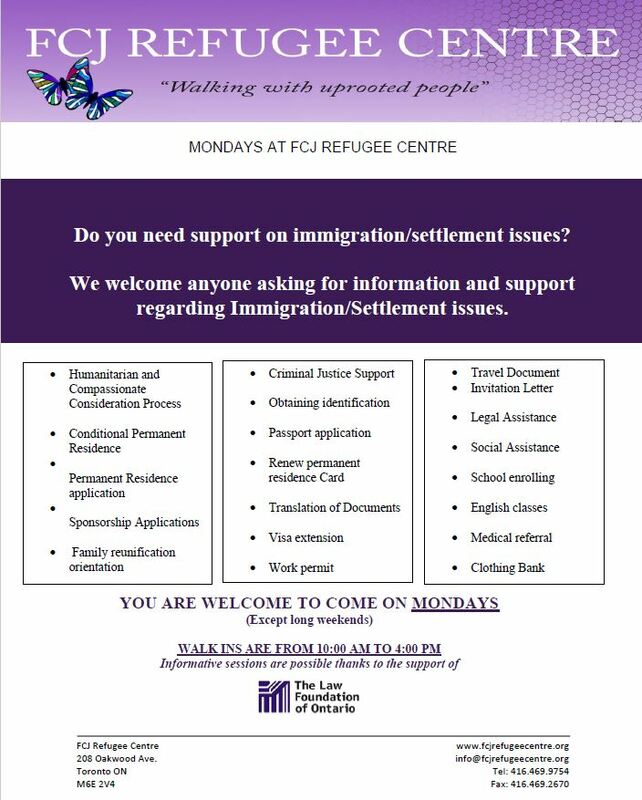 We welcome anyone asking for advice, counsel and support regarding immigration issues. New clients are welcome to come on Mondays from 9:30 am to 4:00 pm. This area includes: information-gathering, delegations to other countries, collaborations with local NGOs. All activities are geared toward greater access and equity.